f**cking hell lads. I understand the LB thing, i think anybody with even half a football brain knows we needed a LB. We don't know if Hause will be a donkey as he hasn't had a chance yet and Rufustfirefly i swear your a bluenose taking the p*ss. I respect we all have an opinion and as fans we should get to moan we pay our money following the club but you don't have anything good to say mate. For to long now villa have been that club that old premier league players see as a last payout. Smith and the club have said its a rebuild and they want younger players. That can only be a good thing and I've said it before and ill say it again, a large portion of villa fans are poisonous and fickle. I've worked all around the country and when you have fans from other cities noticing this its embarrassing. The last few years the club have been run into the ground by not just players and managers but the owners to. We nearly went down sh*t street in the summer with Xia. Nobody is to big to get relegated like we did and any club can fall. We are where we are right now and if we all got behind the team a bit more you never know. I don't mean any offence by any of this either but i'm sure we can all agree that VP right now is a library and toxic one of that, some of the sh*t i hear fans say are mad. Just let Smith rebuild and hopefully it pays off lads. Get a grip! Effing Bluenose!!???ffs! excuse after excuse not talking about the board ,just the non stop escalator of shite management!! its seems none of them,none,can get a tune from the squad they inherit,thus makes me wonder why they took the job I the first place? Then to makes matters worse they follow suit and bring in shite loanees or signings,it’s f**cking endless!! if your read a previous post I did say “I’d be quite happy for DS to bung all the youngsters in and just go for it” or something to them words.But NO he all but farms out the youngsters and continues with the same sh*t signings made by Bruce and his merry men!! Week in week out I get fucked off watching absolute garbage football,I’d rather lose having a go and seeing us putting a shift in,but when we lose to Sunday teams for all the cashola we’ve spent ,it tears my soul out little by little!! It’s f**cking painfull!! and YES I’m quite happy to see what DS will do in summer,but as it stands atm with this hugely talented squad that are absolutely shite,I fear the worse! Back to my point of f*ck all these money grabbing fuckwits and play the youngsters,get em ready for next season!!! Or at least test them ffs!! He did say he would play them,didn’t he? and finally I hate seeing whelan,Elmo,Taylor,shall I go on? in a Villa shirt!! and playing 4-1-4-1 again today! Hells bells!! One trick pony! We deserve better than what we are seeing every single effing game,win lose or draw.Its really not that much to ask from the squad we’ve got on paper,is it? Call me a c**t but bluenose.ffs!!! I'd throw the kids in as well mate, there we agree. I also agree that 4 1 4 1 is depressing. I hate this modern philosophy of 1 up front. It works on a few top quality teams. You look at them down the road. Adams and jutkiewics up top together scoring every week. It just pains me that this club is known for fickle fans. As I say we are where we are. I'm sick of seeing manager after manager fail and I couldn't give a f*ck if my uncle managed us if he is sh*t get rid just like with Smith but right now I don't think he is sh*t. I see the project and I like the sound of it so I'm playing the waiting game wihh him. Honestly Luke I think the majority of fans are just fed the f*ck up!! its a merry go round!! 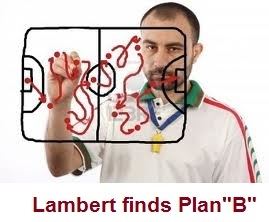 as I said,DS should be given time I’m just concerned on how astute he really is,a couple of u turns already and it looks worse than a Lambert or Bruce team!! and every single club has fickle fans once their beloved team is so bad!!! Get your uncle ready he may get the call!!! I wouldn't agree that it's worse than a brucey or lambert team mate. I don't think fergie or cloughy could get this team sorted without a couple of transfer windows. I really think we will all be surprised how different our team looks next year especially with the outgoings.